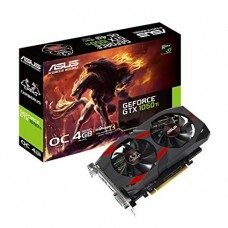 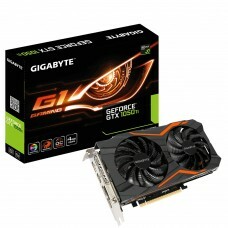 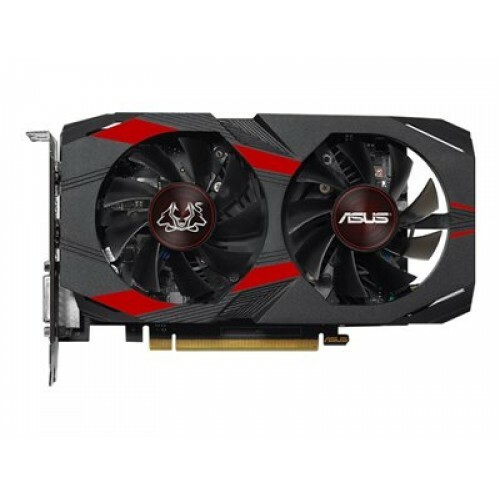 ASUS Cerberus GeForce® GTX 1050 Ti OC Edition 4GB GDDR5 with rigorous testing for enhanced reliability and performance.1455 MHz Boost Clock in OC mode for outstanding performance and gaming experience. 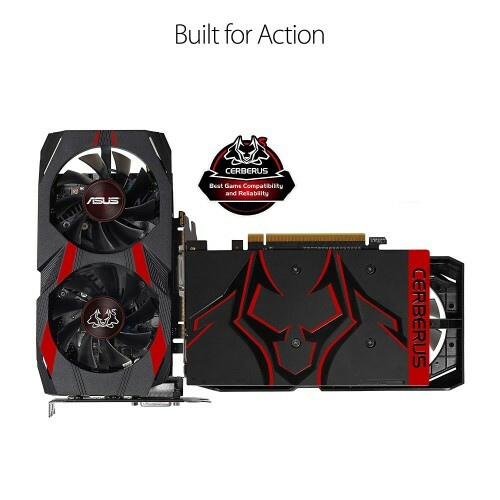 Extensively tested with the latest chart-topping game titles like League of Legends, Overwatch and PlayerUnknown’s Battlegrounds.A strong backplate reinforces the circuit board and is a striking outward mark of Cerberus’s role as a powerful guardian.Dual fan design provides 2X greater air flow. 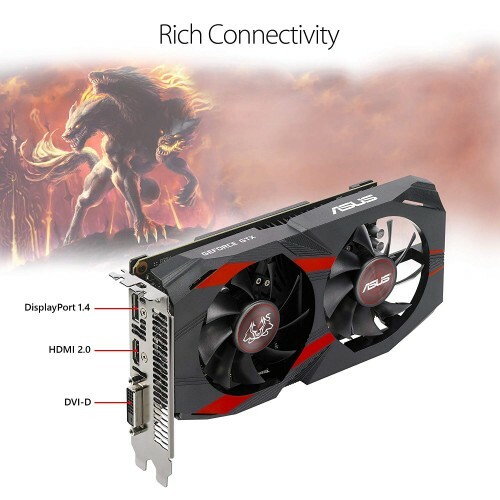 IP5X-Certified Fans are dust resistant for longer fan lifespan.Easy plug and play gaming with no extra power supply needed.Industry Only Auto-Extreme Technology with Super Alloy Power II delivers premium quality and superior reliability.Boost performance with GPU Tweak II, banish lag with wtfast, and stream in real time via with XSplit Gamecaster.